Disembarking I noticed soldiers everywhere, armed with automatic weapons and wearing jack boots. Last week we addressed North Korea again, since it is topical and is the setting for Part 1 of ‘The Girl from Ipanema‘. This week I’d like to revisit, in my own mind’s eye, Brazil, the country that provides the locale for Part 2 of ‘The Girl from Ipanema’ (#TGFIbook) as well as the title of the book. 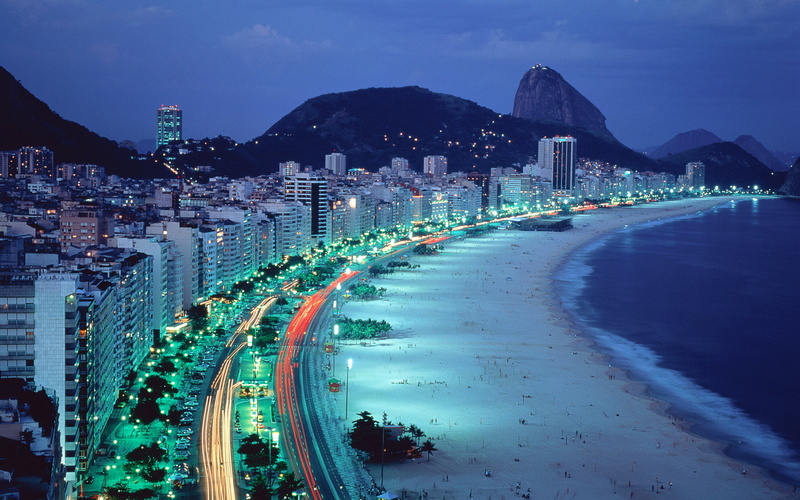 I first went to Brazil in 1975 and visited Rio, Sao Paolo and Brasilia, the capital. My first recollection was of airport security. Politics were messy in those days and Brazil was under a military dictatorship from 1964 through 1985. Disembarking I noticed soldiers everywhere, armed with automatic weapons and wearing jack boots. I wasn’t shocked but it was an ominous environment. Remember that in the US those were the days when you’d park your car and dash for the Gate if you were late for your flight. No security. All three of Brazil’s major cities that I visited made deep and different impressions. Sao Paulo was vibrant and muscular. It seemed to me as if it had sprung full blown from the ground, a metropolis of reenforced concrete that screamed seriousness. While it was customary, as in all Latin countries, to dine late, say 10 PM, the Paulistanos were back at work early in the morning. And they were proud of the fact. Rio was a different story. It is probably one of the most beautiful and exciting playgrounds I’ve ever visited. The beach stretched seemingly forever and was filled with young, athletic people who would play volleyball into the early morning hours. Sitting by my balcony at the Copacabana Hotel, I’d eat luscious tropical fruit and stare at the expanse of sand across Avenida Atlantica, bordering the south Atlantic Ocean, which shimmered under the equatorial sun like a sheet of silver mylar. At night we would drive to Ipanema, bowl duckpins and drink Brahma Chopp. Pinsetters, as in TGFI, were barefoot, their legs dangling over the polished alleys. During the day, downtown, we made our business calls. Every stop required a cup of strong cafezhino, Brazilian espresso, and the air was filled with the rich smell of churrascaria, Brazilian barbecue. And I visited the capital, Brasilia, located deep in the tropical forest. Flying into the city, I was struck by the color of the soil. Bright red-orange. I thought it must be iron but it was bauxite, from which aluminum is extracted. Brasilia itself was a visionary city of the future, its buildings a modern twist on classical style. Most unusual of all was the flight from Brasilia to Rio. I heard someone speaking in a language I couldn’t recognize. Much like French but different in its own way and, I thought, more beautiful to the ear. Of course, it was Carioca, the dialect of Rio. It was laced with ‘schwa’ sounds, like seafoam left on the beach by a breaker. I’m not sure which was more lovely, the women of Rio or its language. No matter. I got to enjoy both!